That Africa draws people to it is undeniable – every year hundreds of thousands of visitors from all over the world touch down somewhere on this astoundingly rich and diverse continent. For many it is for the holiday of a lifetime, a chance to immerse themselves in its primal landscapes; among ancient cultures and a diversity of life unmatched anywhere else. 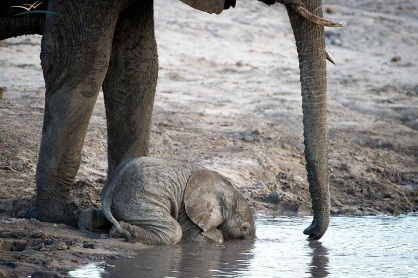 For some it is the start of a love affair with the continent and repeat visits throughout their lives. But for a few, Africa invades their being to the extent that living here and “making a difference” is the only possible outcome. One such person is American actress Shannon Elizabeth Fadal. By “making a contribution” she actually means rolling up her sleeves and getting stuck in. Under the umbrella of her Shannon Elizabeth Foundation she is not only raising funds for projects in Africa, but is very much hands on in choosing and then working together with her beneficiaries. The rainy season was on its way, so Dave made the decision not to start drilling for the solar pumps until after the rains ended. To tide them over Shannon’s trust dug into their reserves and bought $5,000 worth of diesel to keep the pumps running. 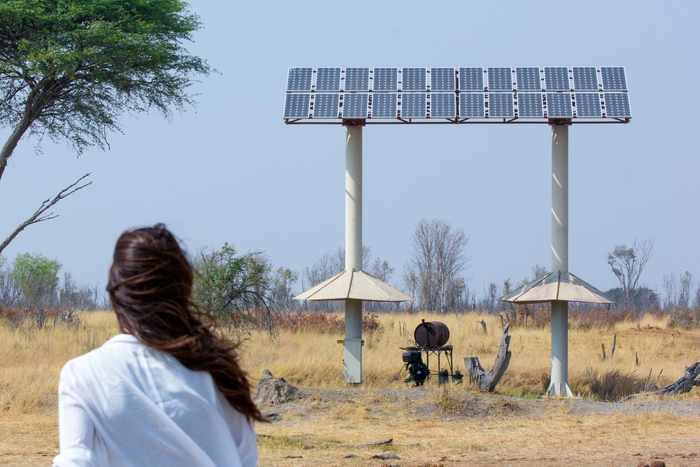 New solar pump in Hwange National Park. The AWARE team in action. After a few other stop offs in Zimbabwe it was back to South Africa where Shannon’s research took her, among other places, to the Mpumalanga Lowveld, home of the Kruger National Park. 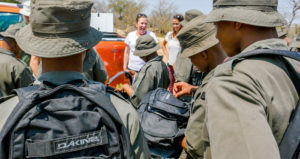 Here she delivered donated goods to students at the Southern African Wildlife College and to rangers in Kruger before heading off to the important big game bushveld region northeast of Pretoria where she was able to help wildlife vets with donations and equipment needed to offset the cost of operating on sick animals. While in South Africa, Shannon met up with Dr Gerhard Steenkamp of Saving the Survivors to present him with the supplies and equipment collected via the Amazon Wish List. At the time Saving the Survivors had been trying to help Hope, a young rhino who had had her face mutilated by poachers who were after her horns. She was later able to join the Saving the Survivors team at one of Hope’s surgeries, where she met Dr Johan Marais for the first time. Despite their best efforts, Hope finally succumbed. 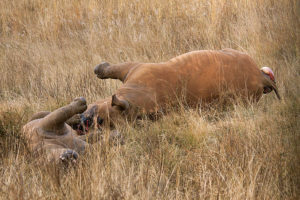 Shannon is clearly still moved by the memory of Hope and her dreadful suffering, but also recounts the happier outcome for another victim of a poaching attempt. 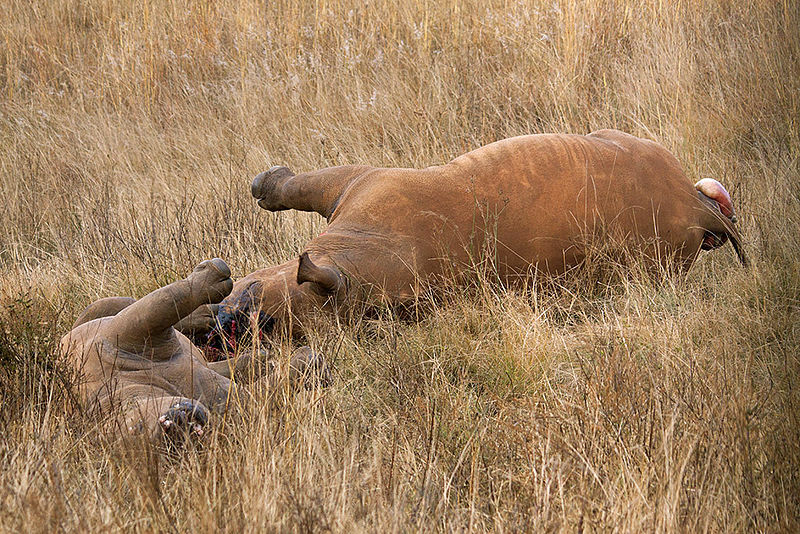 “I learned that a six-year-old female white rhino in Pilanesberg National Park was in a bad way. She had been shot straight through her left front leg a few weeks earlier. Dr Marais operated on her with a great team of doctors and they had managed to fashion a cast for for her leg. Thankfully she survived the ordeal.” It seemed appropriate that Shannon was able to purchase a fracture kit for the Saving the Survivors team with the $10,000 dollars that had been raised. 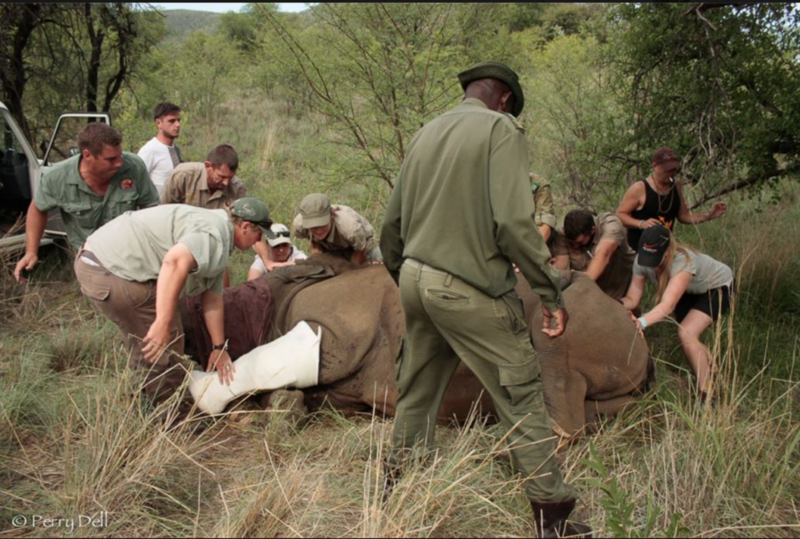 Saving the Survivors – a successful operation in Pilansberg to fashion a cask for a fractured leg. 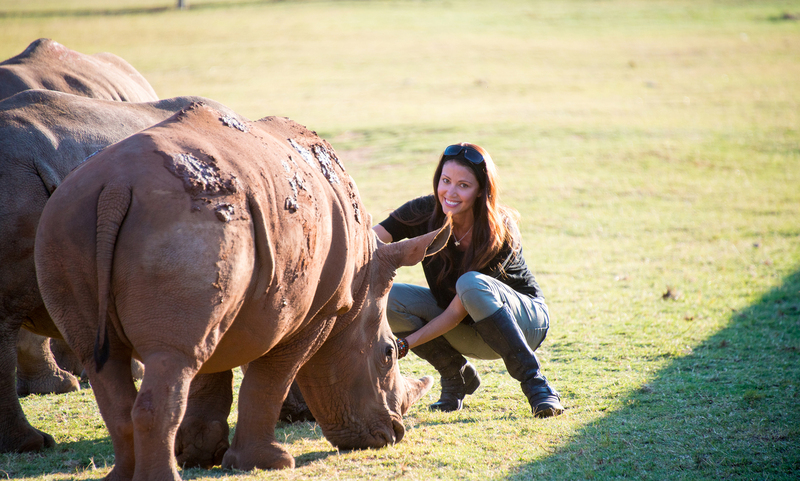 This post is Part One of a two-part feature on Shannon Elizabeth and her foundation. Read Part Two here. If you would like to find out more about the Shannon Elizabeth Foundation and its work, click here.